Iran has restricted access to certain areas of the internet for what it seems ages now, and now they are going to add a few more sites to their list of blocked sites. 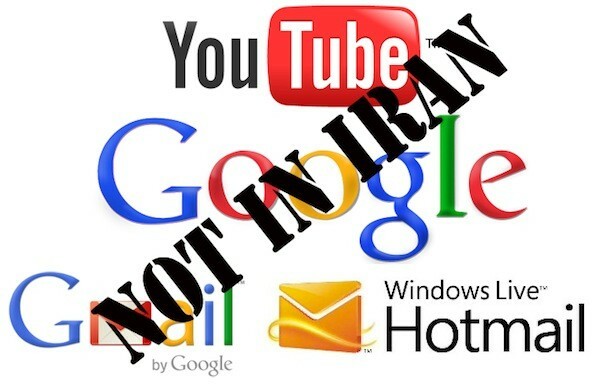 Google confirmed that Iranians haven't had access to Google's encrypted search, YouTube and Gmail since February 10th. Iran's Mehr news agency has reported restrictions on other email services, including Hotmail, plus increased difficulties getting to domestic and news websites as well. 30 million folks, give or take, are currently locked out of their email, and there's no indication when, or if, access will be granted again. And probably never, unless Iran forces the companies to do some sort of extreme censorship. Looks like Google might have to completely pull out of Iran too, like they did with China. Microsoft has not commented yet on this matter.